SAFECOM – 2016 Approvals Announced! Hon Peter Malinauskas MP, the Minister for Road Safety, has officially announced the release of the 2016 SAFECOM Grants. The SA Government has allocated $470,000 for 273 individuals and organisations in rural, regional and remote areas of the State to improve emergency responses. See The Minister’s official statement here. » UHF radios, vehicle mounted beacons and other safety equipment. This year’s grants are slightly different to last year, with a co-funding approach being taken by the SA Government. 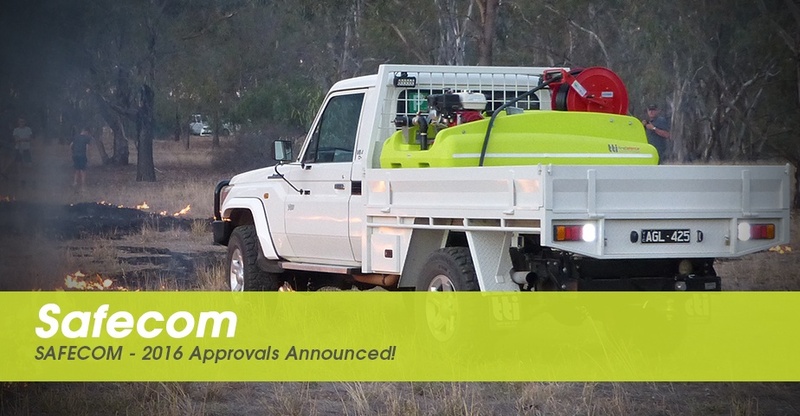 50% of the cost, up to $2,500, will be subsidised by the grants this year, resulting in more than $1 million of firefighting equipment being purchased throughout SA in the coming months. In this, the community response to incidents throughout the next summer and beyond will be greatly improved. If you were successful this year and have received notification from the SAFECOM organisers, you have approximately three months to buy a unit and submit your proof of purchase. SAFECOM would like to have all monies reimbursed by the beginning of October 2016 before the fire season really starts. Those who have been unsuccessful this year are encouraged to apply again in early 2017. Any questions? We are here to help! Call our friendly team on 1800 816 277 and ask for either Rolf Buchner or Paul Kiesskalt.